We made a trip to install church pews in Calvary Church in Colorado Springs recently and we’re very pleased with the results. The church is a smaller space than other churches though certainly not the smallest we’ve ever worked with before. 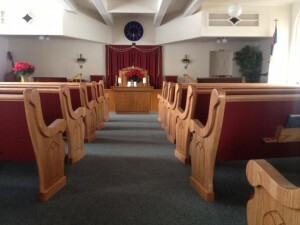 We built new church pews for the space that give is a comfortable, welcoming look. It matches the congregation, who welcomed us to their church with open arms. While we always try our best to match church pews to the architecture and existing furniture in a church, we think maybe we outdid ourselves this time. The church building has many large windows that run along the space of the sanctuary and we tried to highlight that feature in the special woodworking on the side of every pew. Each pew has an engraving carved into the pew end that looks like a traditional gothic window. The curve of the shape also pairs nicely with the curve of the church pew itself, which gives the pews a relaxed and comfortable feel. The second thing that we love about this particular project is the match between the stain on the solid wood church pews and the existing features of the church. In this photo you’ll notice that there’s a lot of wood working involved in their church already, from railings to other pieces of furniture. We matched the church pew colors to the altar well, including the church pew fabrics to the backdrop at the front of the church. 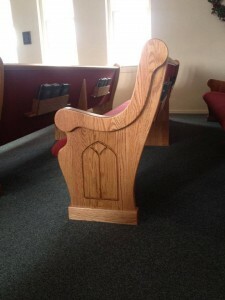 The church pews wouldn’t look as much a part of the church if they didn’t feature the same colors and shapes as the existing church features. 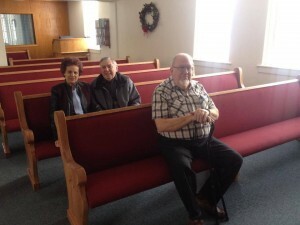 As always, we love meeting other followers of Christ when we travel installing church furniture. 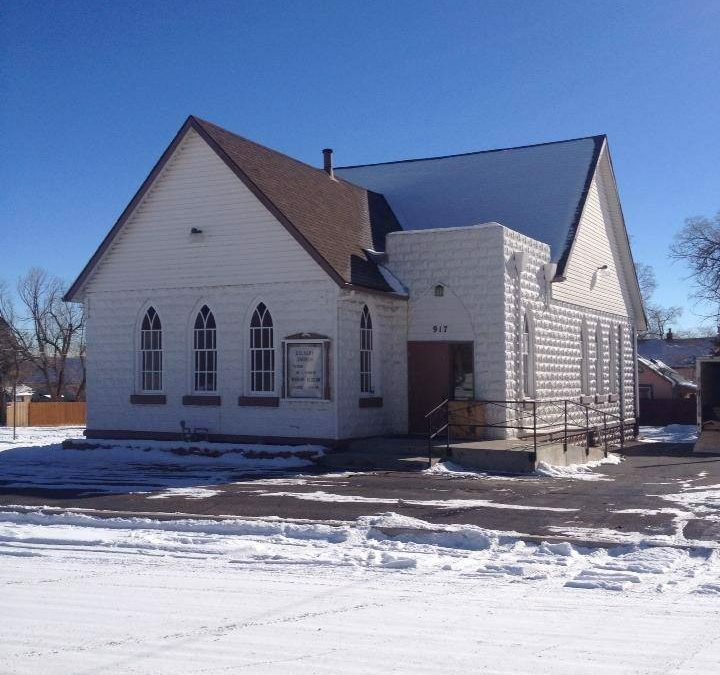 We met some of the congregation when we installed new church pews at Calvary Church in Colorado Springs and it was a pleasure to get to know them. 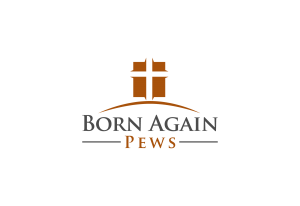 Can we help your church with your church furniture? Give us a call and we can discuss how we can help.